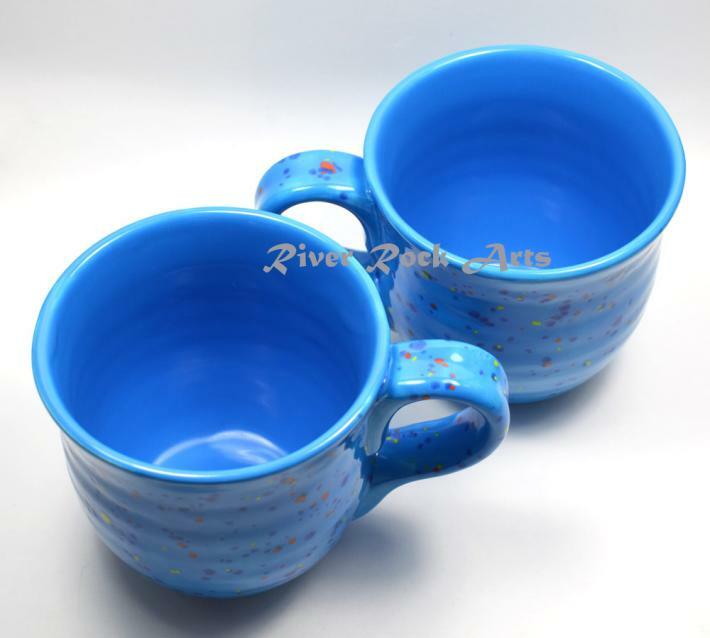 These large ceramic mugs are glazed with neon blue with a rainbow crystal glaze on top, a perfect his and hers set for any occcasion. 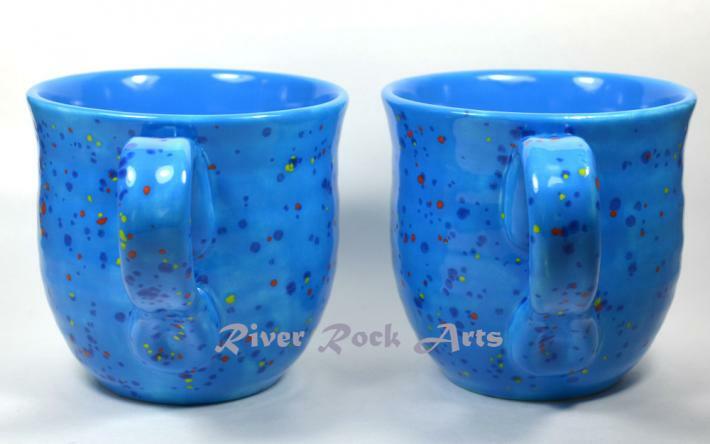 The mugs hold 20 ounces and are dishwasher and microwave safe. 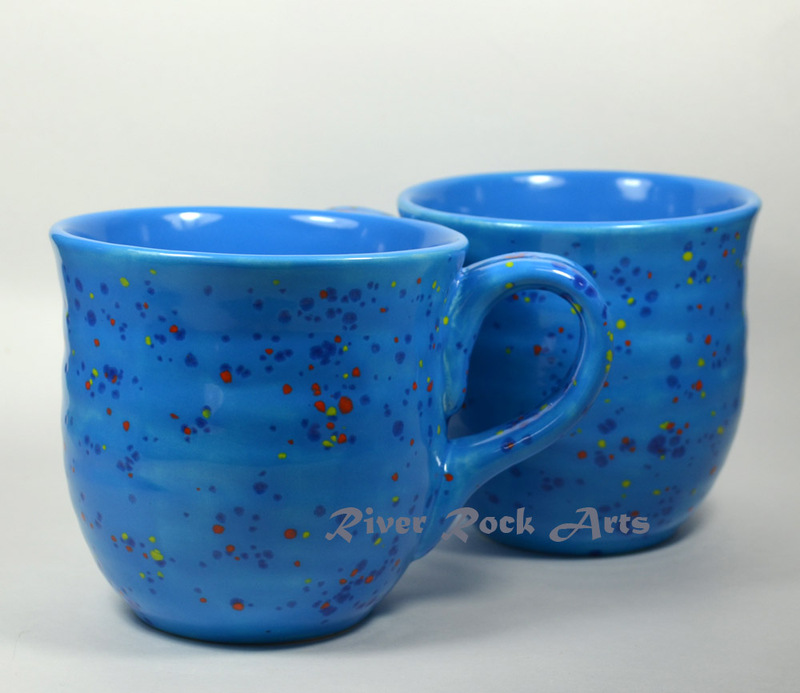 Each measures 4 1/4" high, 4 1/2" in diameter and 6"across at the handle.